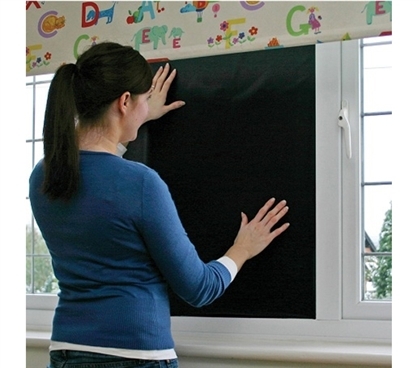 Whether you are looking to darken a room for a nursery, or just need to block out the sun in your bedroom, blackout blinds are everyone’s go-to! The only problem becomes the cost – blackout blinds can range anywhere in price from $50.00 to $269.00 and beyond. That doesn’t even cover installation! If you need to darken a room, instead of purchasing expensive blinds, try something else that will save you some money and still do the job! Here are some solutions you should avoid and some easy and cheap alternatives to darken a room! 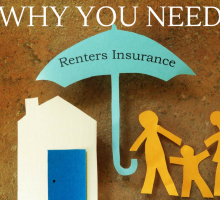 One of the easy solutions that many people gravitate towards is using cardboard cut-outs to cover up a window. The problem is that this solution looks very rough and tacky in a home. Although this may be the cheapest and simplest alternative to keeping a room dark, it leads to an ugly distraction in the room. No longer does your window act as a feature; instead you are stuck looking at an un-flattering piece of cardboard – something that does not match your room’s style or décor (and looks very suspicious from the outside)! To darken a room without using blackout blinds, get creative with a little ‘DIY.’ It is as easy as heading to your local fabric store, purchasing some heavier fabric, and doing some sewing. When you purchase your fabric, the fabric you select does not have to be thick, as long as the fabric will hang heavy against the window, sealing out the light. Other than a sewing machine, you will need enough fabric to fit your window (or drape to the floor of the room), and some wooden dowels. 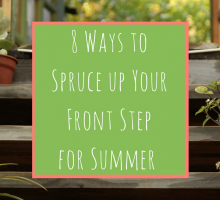 Measure out the fabric you have selected, and then hem the sides and bottom for a clean-cut look. Add holes into the top of the curtain for placing shower/curtain hooks, sew loops on the back of the fabric, or simply fold over the top and sew a tunnel. 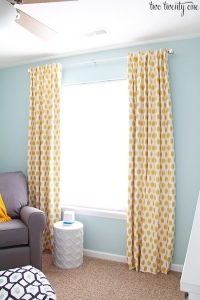 Attach your curtain hooks to a rod or slide a wooden dowel through the loops or top. Place it in the desired location above the window and voila! 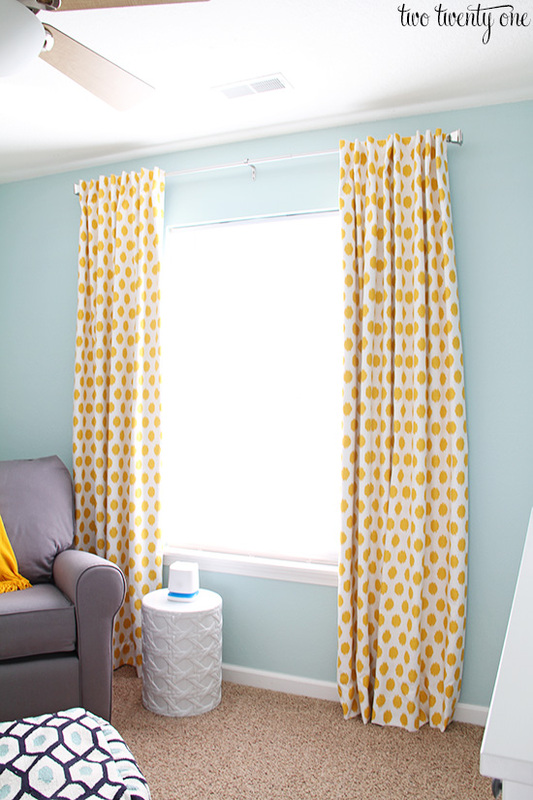 Goodbye sunshine, hello fabulous, decorative, and handmade curtains! Tin foil is an alternative to blackout blinds that often creates the feeling of an abandoned home. The tin foil may be an easy solution, but the shimmery appearance often leaves a room feeling cold and harsh. In addition, when people are passing by your house, the tin foil can reflect the sun, drawing attention to the poorly covered window. If you don’t have the sewing skills to make a curtain, blackout blind stickers are an effective and cheap option! Available online for as low as $8.99, these easy to use stickers will keep out the sun. These stickers come in large sheets so that you can simply measure and cut the sticker to your window specifications. These stickers are a better alternative than tin foil because they do not shimmer or crease. From the outside your windows just appear dark! Try these Magic Blackout Blind Stickers available at: https://www.dormco.com/Magic_Peel_N_Stick_Blackout_Blind_24_x_32_p/gh3-5-6-800060.htm. If you are not feeling like getting creative and instead would prefer to purchase blackout blinds, there are cheap options! IKEA has Roller Blackout Blinds for $34.99 that will fit certain sized windows. Select the best size and colour (available in white, grey, and black – black is a higher price) and you now have a way to keep your room sunlight-free! Wherever you need to block out the sunlight (your college dorm, child’s nursery, or your own bedroom! 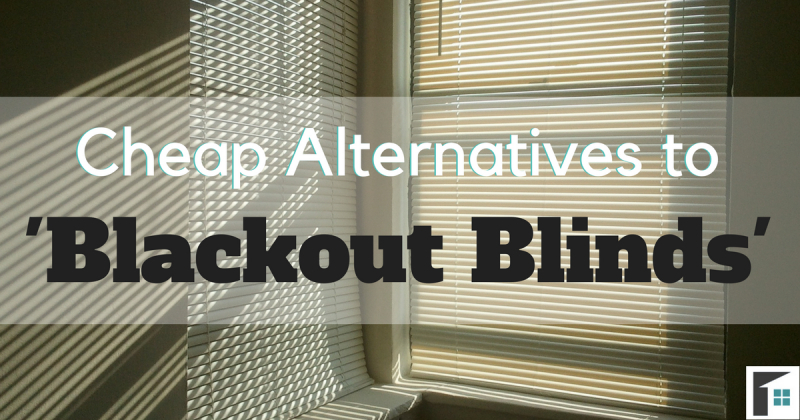 ), do it cheaply and effectively with these alternative blackout blinds!